Wholesome oven-baked pet treats containing no mystery meats, preservatives or nasty chemicals just real human grade ingredients made in Australia from quality Australian produce organic where possible. Australian made dried treats packed full of goodness your fur babies will love. Committed to supplying all-natural, preservative free pet treats. Our wholesome oven-baked pet treats contain no mystery meats, preservatives or nasty chemicals just real human grade ingredients made in Australia from quality Australian produce and organic where possible. Allowing us to guarantee the highest quality standards for all our pet treats. You can be sure it's only the best for your pet. As well as dog treats we a selection of cat treats, packed full of flavour your cat will love. Horse treats and dries Rabbit treats made to order. Can’t find the treat you're looking for, just drop us a line we can make to order (conditions apply). Not only are our pet treats special, so is our packaging. Cellophane paw print bags, and for that complete environmental experience our brown pet treat bags are made of recycled paper and have a corn based, 100% natural bio film, completely compostable and biodegradable. Our bakery is powered by the sun and our hot water is delivered by heat pump technology, taking the heat out of the atmosphere. Using BPA free plastic containers and wrapping, together with our reusable box program, helps us to reduce our carbon paw print. We are also a proud member of the RSPCA choose wisely program. Committed to using only, RSPCA approved chicken and eggs. * Guide to off leash zones Shoalhaven area. * Pets on holidays in the Shoalhaven. * Guide to off leash zones Kiama area. * Where does your dog want to go? Listing 1064 dog-friendly parks and beaches across Australia. We are loving dog owners too, with the two Lab assistant, Bindy & Daisy. We wouldn’t sell anything we wouldn’t feed or use on our own pups. 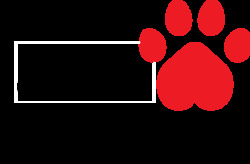 Not only do we sell legendary pet treats, but a grrrreat selection of pet accessories from other Australian companies. Dog Collars, Dog Leads, Head Halters, Dog Harnesses from Black Dog Wear. Naturally based dog grooming products including shampoo and specialised dog cleaning products from Petway Pet Care and DR Zoo.Toys to keep your pup of kitty amused. To email us click the orange button.